This is a very low cost alternative for consumers who want a stylish look but not the high prices associated with leather chairs. The covering for this piece is synthetic polyurethane leather. 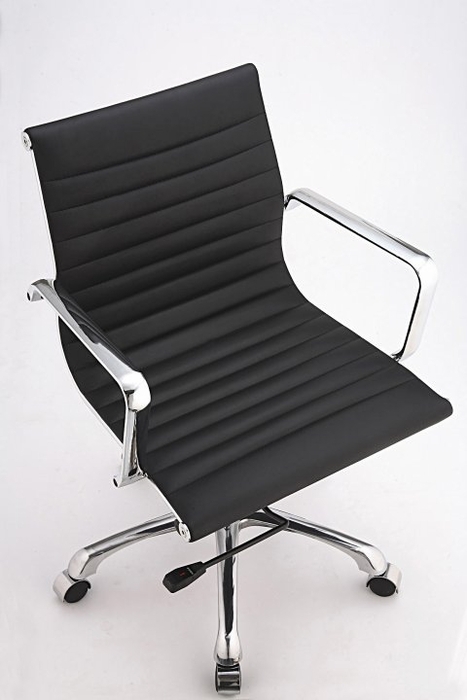 Low Back Leatherette Chair with Armrest, Tilt-Lock- Swivel, Chrome base. 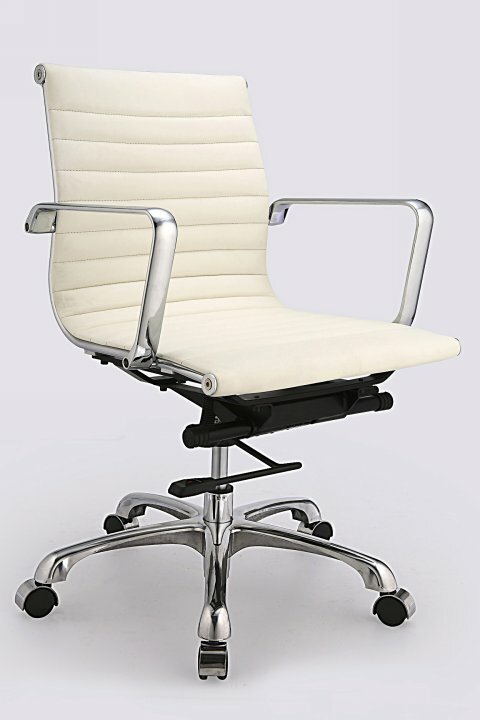 Black or white mesh Team Chair also available. 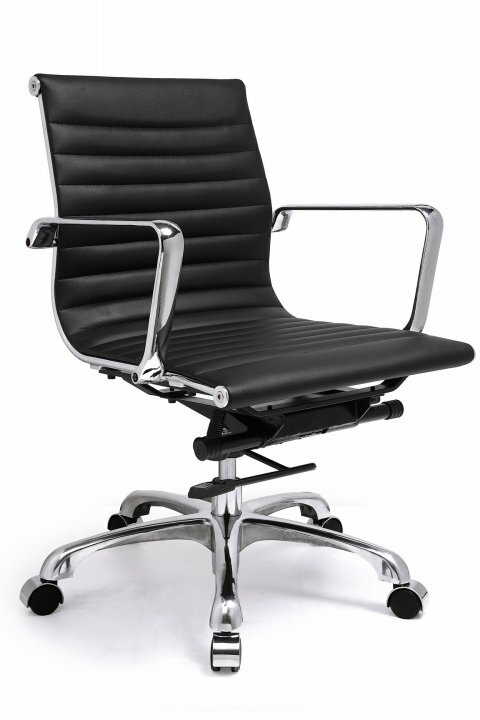 Gibraltar furniture is not affiliated with Herman Miller, Inc. and its products are not affiliated with Eames Aluminum Group or Softpad products.